Yes! Almond juice is the liquid essence of almonds that’s extracted by cold-pressing. 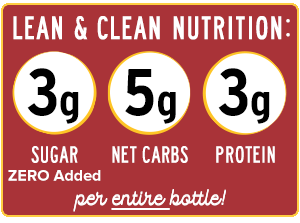 And Because we cold-press almonds, instead of sugary fruits, all our drinks are naturally low sugar, low carb, & lower calorie. How much less? We're talking as low as 1g of sugar. Per. Entire. Bottle. And since our Almond Juices are always cold-pressed and never heated, they retain a deliciously fresh, clean, & crisp flavor that tastes just like a juice! The first 360° Cleanse Resets + purifies while keeping you strong and energized with more protein & fiber without the excess sugars. Capsaicin may help boost metabolism and improve physical endurance. Find this at one of our store locations here. Tastes like a fresh Piña Colada! Provides a natural source of Coconut Oil MCTs* which may help promote metabolic health. Nutrient dense and naturally abundant in Coconut Oil MCTs* which may help promote metabolic health & mental acuity. May help stimulate digestion and naturally promotes alkalinity with a delicious, fresh tropical taste. Rejuvenating Elixir. A light and full-flavored treat which may help promote anti-inflammatory, immune, & digestive health. Dairy-free & 100% plant-based. Delicious & spicy comfort. A heartwarming blend of Masala Chai spices with a refreshing splash of lemon to uplift the soul and help relieve stress and irritability. Ancient warming spice blend contains potent antioxidants & protective nutrients to uplift the soul and help relieve stress and irritability. May help stimulate digestion and circulation. Promotes alkalinity. Detoxifies & provides a refreshing, clean flavor. Oh! Btw, have you met Clean as Kale? It's our sister brand that offers the world’s first 100% plant-based face scrub. We make it from the upcycled by-product of our Almond Juices! That’s right, no moisture-robbing clay, just beautiful living plants. Learn more about our beautiful solution to food waste here. We're more than just beverages! Sign up with your email address to receive articles, recipes, and all things meant for the betterment of your health & wellness.